What's your least favorite crafty term? The words that make you shudder and want to crawl into a cave? A while ago I said that "CAS" was my terrible term. I've reevaluated that statement, and have come to the conclusion that "ONE LAYER" is definitely my crafty 'four-letter-word'. So I forced myself to make a one-layer card, for no real good reason, other than pure self torture. 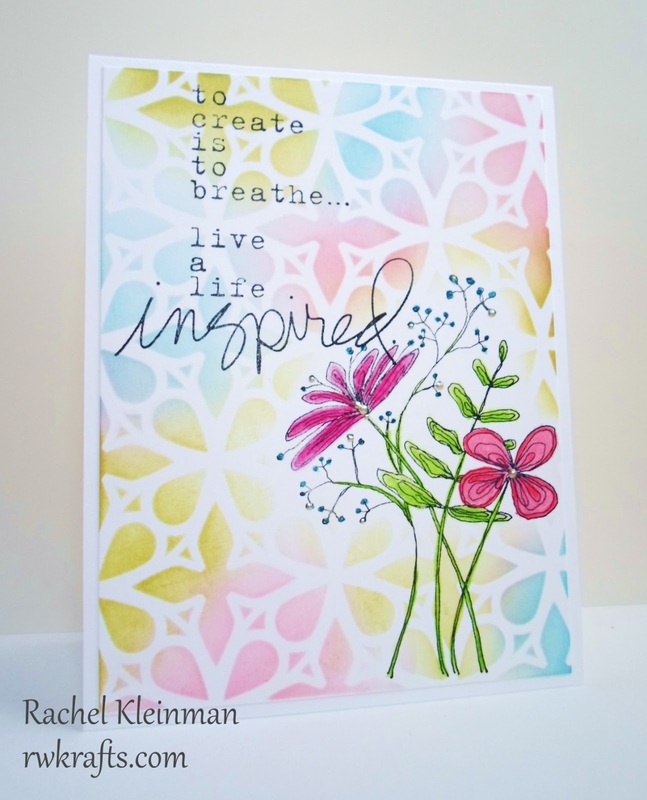 This card was also created using the Moxie Fab Tuesday Trigger photo inspiration. 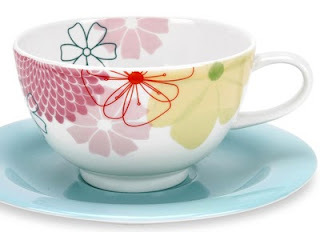 I was mainly inspired by the color scheme and the skinny detailed flowers. 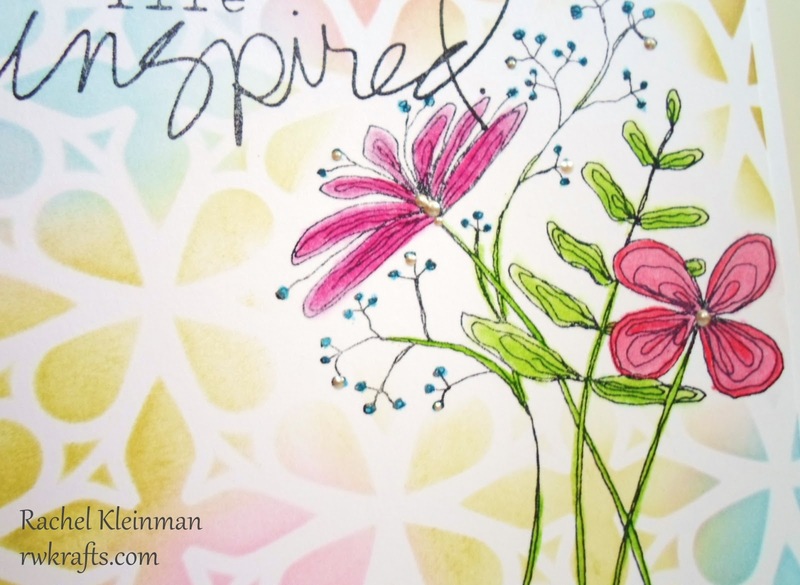 I stamped the flowers first, then used Distress Inks to blend over a stencil trying to 'mask' around the flower stamp. Then I did some very basic coloring with my Prismacolor Pencils and blended with mineral oil. I used the largest sentiment stamp I had to fill in the card. I'm not super thrilled with the outcome, but I gave myself a challenge and stuck with it. So I'm glad that it's a finished card! I will admit that there are a few Liquid Pearls dabbed onto the flowers. Stamps: Unity Stamp Co "Untamed Beauty", "Create to Breathe"
Inks: Distress Ink "Shabby Shutters", "Tumbled Glass", "Spun Sugar", "Picked Raspberry". StazOn "Jet Black"
Oh this is sooooo pretty! Love how it does not look one layered at all...totally fab. Rachel, this is absolutely gorgeous! Love the creativity in this! Gorgeous! I'd say this is a resounding success...like a beautiful canvas! I Love it! The background is so pretty and it looks so arty with the quote! Wow! Gorgeous take on the trigger. Beautiful colors! This is a Winner to me! Wonderful Rachel!!! I stay away from one layer cards too - too much pressure to get it right LOL. I adore this card - soft stencilled background and vibrant focal point - perfect! Awesome sentiment!! As usual the background in da BOMB!! Can't believe you did all this on one layer - you must never make mistakes!! 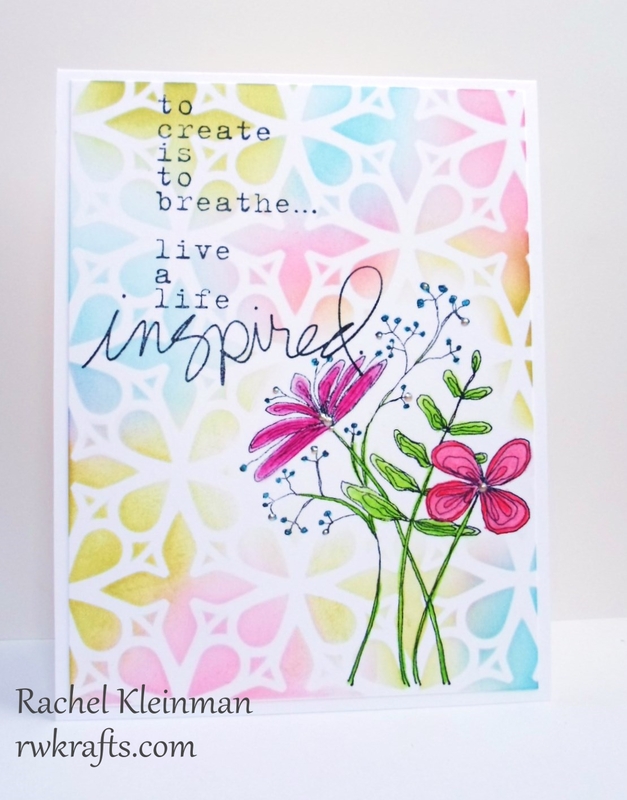 Gorgeous card, Rachel! That background is awesome! Sharing Some Big News - GIVEAWAY!